And, this is just the figures without the newly added third tower! All with and parking facility to be build on 3 floors underground. Obviously with a project of this scale it'll take some time so we won't even speculate about what will open when. But, if built out as we see today this will be a game changer for the North Bank. 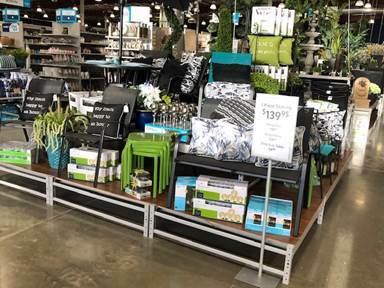 It's official, Home Décor superstore At Home is now open in the former Costco building at 6902 N. Division. 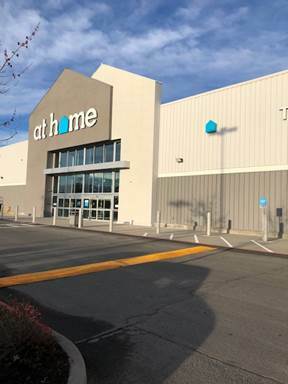 The new Spokane At Home location is the second store in the state and their 191st store opening nationwide. The new store has 88,000 square feet and offers more then 50,000 home décor items, from furniture, mirrors, rugs, art and housewares to tabletop, patio and seasonal décor across a variety of styles. Shoppers will find style ideas through out the store which is based on a warehouse model with continually updating items that showcase the latest trends and seasonal products. While the store is now open, a new store open house will be held on Sat. May 4th starting at 9am . The open house will feature gift card giveaways for the first 50 people who visit the store and sign up for their At Home Insider Perks program. In 2014 the former Bickett Hotel building at 225 W. Riverside in Downtown Spokane underwent a stunning restoration. The building's owner, Jed Conklin renovated the building's upper 2 floors into 8 new apartments that today are very in demand. Eyvind is a project of Chef Tony Brown, who also owns Ruins, a small and ever changing restaurant on North Monroe. The unique name is a nod to Mr. Eyvind Earles who was an artist known in part for his background illustrations in 1950's era Disney films. He is best known for his background and styling in the 1951 classic Sleeping Beauty. In a previous interview, Brown described his plan for Eyvind to be a more polished version of Ruins. It will likely be very vegetable forward seasonal local ingredients . Another project that Chef Tony Brown is involved with will actually be in the basement of The Bickett building. That new restaurant will be called Hunt and will be a small space serving what is being called elevated campfire food. 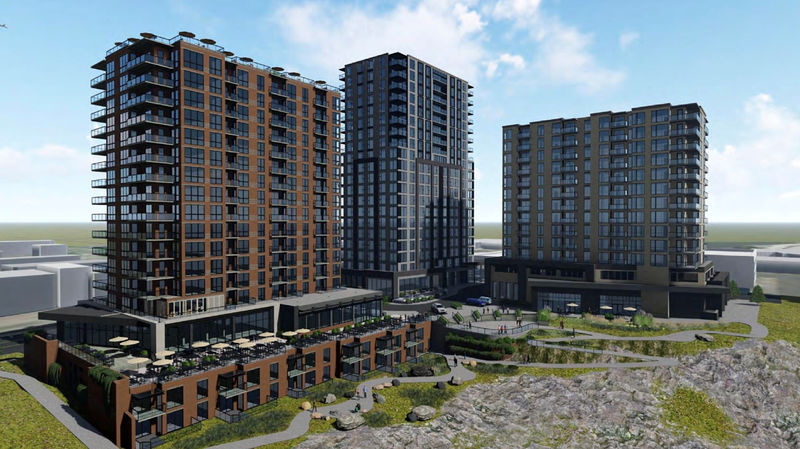 Redband is a project of the building's owner Jed Conklin. A bit different from the other 2 new places, Redband won't be an everyday restaurant, but instead gathering space. The new space will offer a dining set up and full bar and will be available to rent for gatherings of up 60 guests. Something new is coming to Spokane's restaurant scene, traditional Argentinian empanadas! This is due to the planned opening of Tarascon Empanadas at 9222 N. Newport Hwy in North Spokane. The new restaurant will be a quick service eatery in space that is shared with the exsisting Mr. Wok Chinese restaurant. Empanadas are savory pastries fill with variety of meat and vegetable fillings. According the their newly launched website they will offer pork, spinach, beef, ham and cheese, chicken and maybe more. The owners of Ferrante's Marketplace Café on the South Hill are cooking something up for the Garland District. Soon they will open a new Barbecue restaurant at 713 W. Garland, which had been a small bakery up until recently. The new restaurant will go by the name Honey Pig BBQ and is currently scheduled to open in May. Honey Pig BBQ will be a seasonal establishment with BBQ dishes. They say the menu will be simple and delicious with meats and sides. They will also sell meat by the pound and customers will be able to dine in or take out their meals. Honey Pig BBQ will only be open for business on Fridays and Saturdays and will be open until the BBQ sells out. And, following over from Ferrante's this new restaurant will also have gelato! Watch here and our social media for more on this new restaurant.